The Dairy Isle at Put-in-Bay is located next to the Jet Express Dock. Their recognizable soft serve ice cream is available in cones, milkshakes, sundaes and the famous Blizzard. There are also cheeseburgers and chicken finger entrees to handle your hunger. 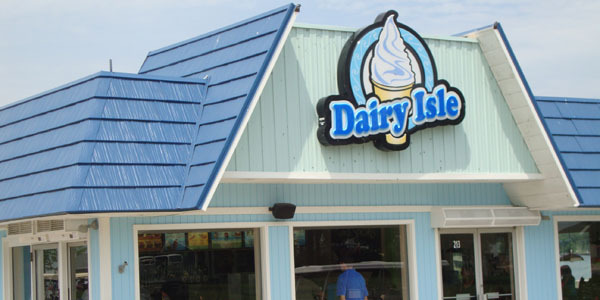 Enjoy a sunny day at Put-in-Bay with an ice cream treat from The Dairy Queen.